Established in 1953, the second of its kind in Alberta, and is currently owned and managed by the same families. 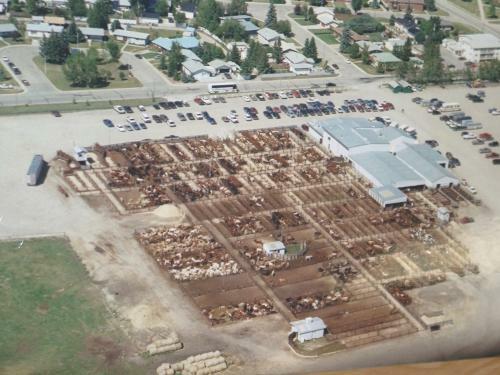 The Mart has grown to be one of the largest volume trading centers in Alberta. 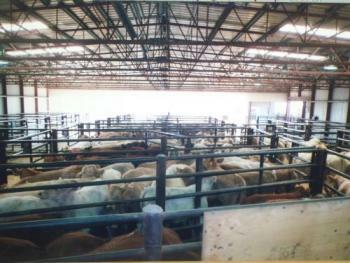 The modern facility offers a capacity of 5000 calves and feeder cattle, handling them efficiently and accurately. Top priority is put on clean bedded pens with minimal stress on the handling of livestock. 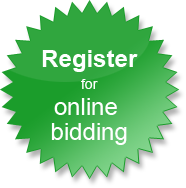 The second auction ring sells dairy cattle, baby calves, hogs, sheep and goats. Seven licensed, bonded auctioneers with 150+ combined years of experience and a support staff of fifty people, we handle sales with expertise. Special sales for machinery, firearms, horses, and real estate are held throughout the year. Regular sales are held each Tuesday and feeder cattle sales every Friday. Presort calf sales happen on Fridays in the fall featuring pre weighed load lots of fresh ranch calves.